Whilst the Maltese were living under Muslim rule, a great power was shattering the Arab forces abroad. They were people of the North, Catholics, and friends of the Church. The Normans were just what the Maltese were hoping for; their forces were under the command of two brothers William and Robert Hauteville. These were already masters of Southern Italy, and were now waiting for a chance to take Sicily and Malta. The Conqueror immediately realized the miserable state of Malta, he asked Pope Urban 11, great friend, to choose a bishop for Malta, and a certain Gualtieri was soon consecrated Bishop of Malta. Roger gave the Church many lands in Sicily, returned to her those lands taken by the Arabs, rebuilt the Cathedrals of Mdina and Gozo, the chapel of St. Angelo, and some churches that had been neglected during Arab rule. He also gave certain sums of money to priests so as to help them to devote all their time to the Church. As a sign of thanks, the Church in Malta still says a Mass at the Cathedral, on every November 4, for the repose of the Count's soul. Count Roger the Norman (a kinsman of William the Conqueror of England), after having subdued the Arabs in the greater part of Sicily and Southern Italy, landed in Malta in A.D. 1090 and was welcomed as a liberator. According to tradition Count Roger gave Malta the red and white flag, which is still the national flag today. 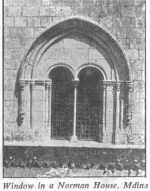 With the coming of the Normans the Christian religion regained its former supremacy, the Cathedral and other churches, which had been reduced to a pitiful plight during the Arab occupation, were restored, embellished and richly endowed. Under the Normans, Malta was united to the Kingdom of Sicily. The Norman line of Kings merged into the Swabian dynasty and, after a comparatively short period (sixteen years) under the Angevins, it fell to Peter III of Aragon (Peter 1 of Sicily) and to his successors until in 1530 Emperior Charles V granted these islands as a fief to the Order of the Knights of St. John. "Ghajn Klieb" is the centre of an old legend about the Arabs. The Normans had allowed these to remain in Malta, and no one is sure when they left our islands. 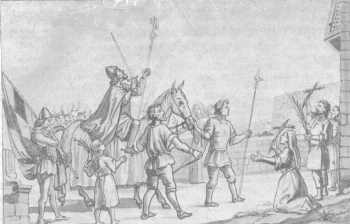 About the year 1122, the Arabs refused to pay the tribute and plotted against the Maltese so as to regain possession of Malta, they lived near Bahrija, and there they had plotted that, on a certain day in Holy Week, they would surround the Maltese while these were in their churches, fall on them by sur­prise, and massacre as many of them as they could. By chance, a shepherd girl overheard them and told everything to her parents. But the sands of Saracen rule were running out. Within fifty years, a nephew of William the Conqueror seized Malta and restored Christianity as the dominant religion in the islands. Roger de Hauteville, or Roger the Norman, as he was called, was one of a family of twelve brothers, sons of an impoverished Norman nobleman. These with other Norman adventurers had carved out kingdoms for themselves in southern Italy, at the expense of the Byzantines who, for six centuries, had ruled in those parts. Young Roger then led a crusading army into Sicily and, having subdued the Saracens, turned his attention to Malta, possession of which was necessary to prevent its being used as a base for the re-capture of the new Christian kingdom of Sicily. News of his intentions reached Malta long before he appeared and, such was his reputation as a fighter, that, when he arrived with a small force, the Hakim surrendered at discretion. Roger, who believed in living and letting live, left the Hakim in possession, demanding only that he acknowledge himself to be his (Roger's) vassal. He stipulated that Christianity be restored as the dominant religion in the islands and insisted on the manumission of Christian slaves .He re-constituted the diocese and allotted the revenues of Lentini in Sicily for its maintenance. 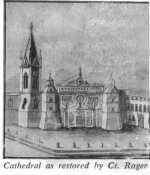 A bishop of Malta had already been appointed - subordinate to the Archbishop of Palermo. For the next three and a half centuries, Malta was part of the kingdom of Sicily, owing allegiance to successive Norman, German, Angevin and Spanish sovereigns Of the twenty five rulers who reigned during this time, only three ever set foot in Malta although they all owned extensive estates in the islands, producing cotton, cumin, horses, hawks and swine. Sometimes Malta was ruled by the king's officers, sometimes by a feudal lord with the title of Count or Marquis of Malta.